Charged by Overwatch’s Reinhardt? You’re in for a wild ride, my friend. 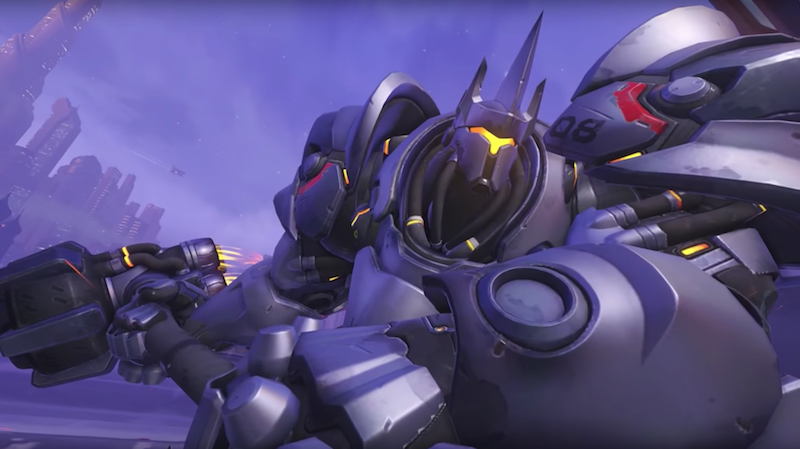 The receiving end of a Reinhardt charge is, in Lifehacker editor-in-chief Alan Henry’s words, “a roller coaster ride that inevitably ends in confusion and death.” In the process, you are reduced to nothing. You have no agency. You do not know where you’re going, but when you end up there, you will be messed up and sad. Questions you might ask: What is happening? Was this avoidable? Is there a wall behind me? A cliff? Will I die? Will Reinhardt die, too? Is there truly good in a world where a 61-year-old with a sledgehammer can shove me 55 meters, push me into the endless abyss, and I can do nothing in retaliation? No, friend. No. I’ve recently noticed that Reinhardts have measured those 55 meters. Somehow, remarkably, they’ve made “Charge” shittier for its victims. Those guys park themselves at some calculated starting point, let it rip, and knock me off the edge of a map—without falling off themselves. Damn those guys. Reinhardt casualties are the only thing that make “Charge” tolerable for those of us who prefer more porcine tanks. Those moments of vindication are almost worth the feeling of immeasurable futility “Charge” victims suffer. But not quite. What I’m trying to say is, think about us guys on the other end, Reinhardt. You are unstoppable. I’ll feel that in the morning. Catch phrase.